Kozica Dental accepts most major dental insurances, including Blue Cross Blue Shield, Delta Dental, Altus Dental, MetLife Dental, Aetna, and Cigna. You provide us with your dental insurance card and notify us of any changes in your insurance. We'll verify your coverage. We calculate and estimate the amount of fees your insurance will cover. The remaining estimate is what you'll pay as your co-pay when services are rendered. We'll submit your insurance claim for you. You'll receive a statement from your insurance company when the claim is processed. If there is a balance on your account after your insurance is processed, we'll send you a statement for the balance on your account. We make it as easy as possible! We will submit pre-treatment estimates to your insurance company for more extensive procedures, so you know exactly what your insurance intends to cover, and we'll work with you to ensure you receive the most out of your dental benefits. Understanding how your insurance works can be tricky. 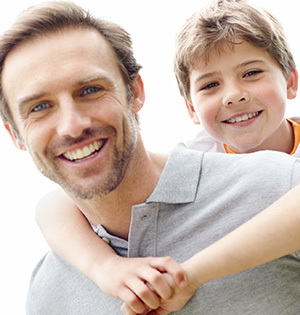 Each dental insurance provider is different, as is each employer's dental insurance plan. Check with your company's benefits department for details on your coverage. When you're in our office, ask us for a free copy of My Insurance Covers This… Right?, a brochure that clearly explains the insurance process. Kozica Dental in Worcester accepts Visa, MasterCard, Discover, cash and personal checks. We also offer financing through CareCredit®. CareCredit financing options offer easy online application and approval, and no- and low-interest monthly payment plans. Once you are approved, you may use your account here and at any participating healthcare provider. Our Financial Agreement outlines your responsibilities for payment of services rendered, and explains our cancellation and late fees.